For those of us who were alive and old enough to understand what happened, the terrorist attacks on our country perpetrated on September 11, 2001 will never be forgotten. And as bad as that time in our country was, one moment really stood out and inspired me during that time. It was an inspiring, soul-lifting, patriotic moment. And the crowd cheered. We all cheered. We all cheered that day because it’s great to know that you’ve been heard. 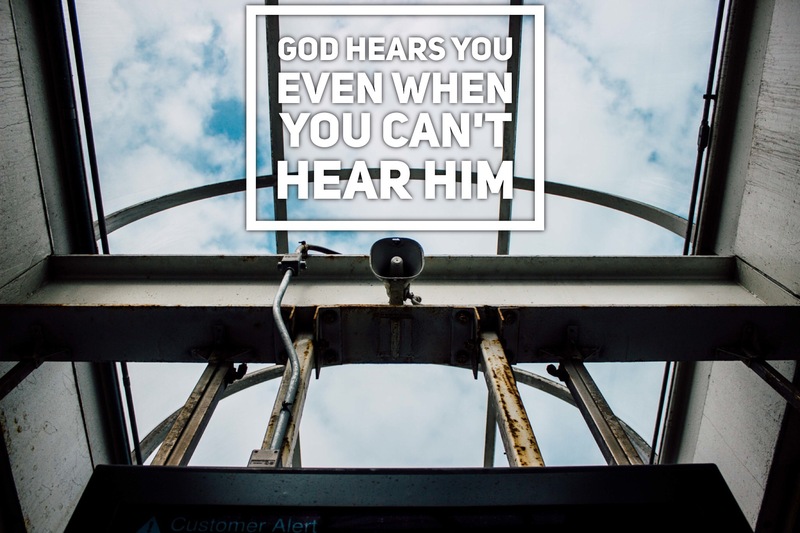 Sometimes, it’s easy to feel like you can’t hear God. And it’s even easier to feel like- if you can’t hear Him- maybe He can’t hear you. Scripture time and again tells us that God is the God who listens and hears. He turns His ear toward us, even bending low to hear every word we utter. There is not a prayer you’ve prayed which hasn’t been heard. God is listening intently. And even though you may feel like He hasn’t heard you, He definitely has. And He is working on your behalf to make sure that your request is answered in the right way… at the right time… for your benefit. God hears you. Don’t give up.